Zain has been working in private dentistry for over 6 years and in that time has both completed complex cases but also mentored and supervised newly qualified dentist. Zain has a special interest in Complex Endodontics (RCT) and Prosthodontics, which reduces the need for his patients to be referred elsewhere for specialist services. Zain has a passion for excellent dentistry, believing and practicing that there should be no compromise in quality. Having undertaken specialised training in complex Endodontics and Prosthodontics he ensures that his patients receive the latest techniques and materials, giving his patients the reassurance that there is a predictable outcome with the best possible result for all treatments. Zain has a happy, easy going approach, quickly putting his patients at ease to ensure patients are relaxed at each appointment. His personable manner means he is able to work closely with his patients to achieve the results they are looking for. Zain enjoys giving back into the community, he has set up a remedial program for young students and has been a mentor helping to guide young students towards University. Whilst studying Zain was Chairman and an active member of the student association. 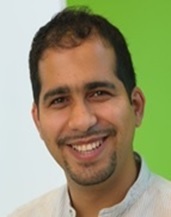 Besides dentistry – Zain is a family man, and loves spending time with his wife and children. He loves visiting museums and has a great interest in history, travelling throughout Europa and beyond. Zain also enjoys watching and playing football and reading for both pleasure and work.